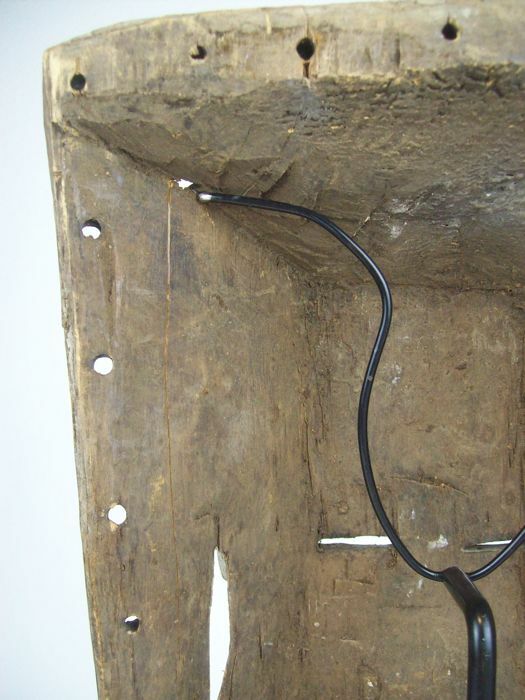 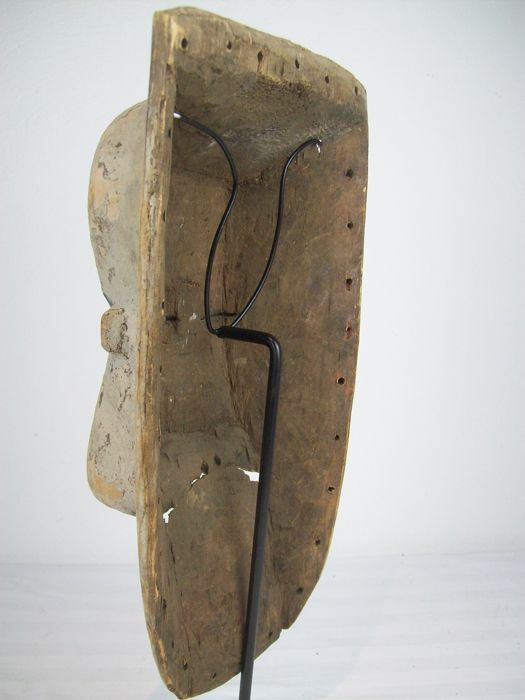 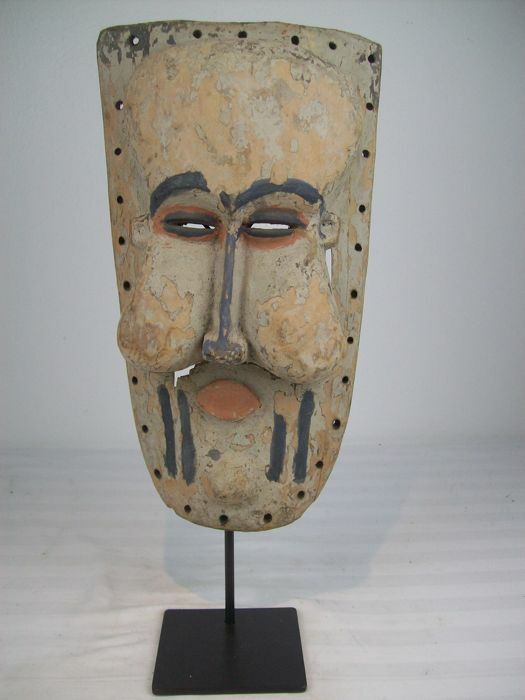 Old Suku wooden mask from Congo. 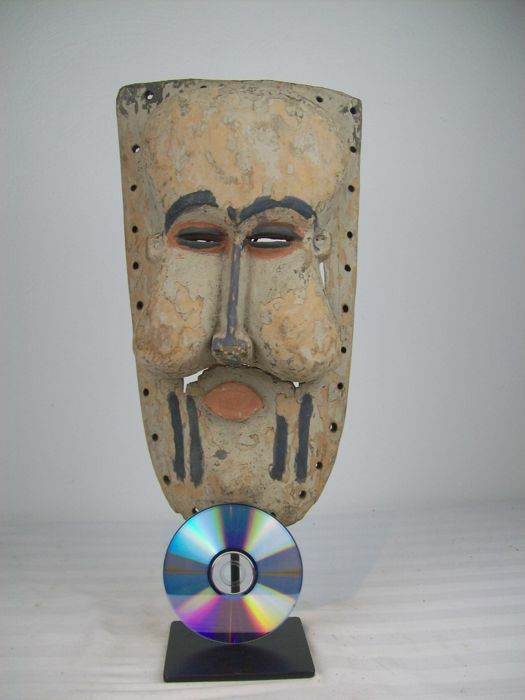 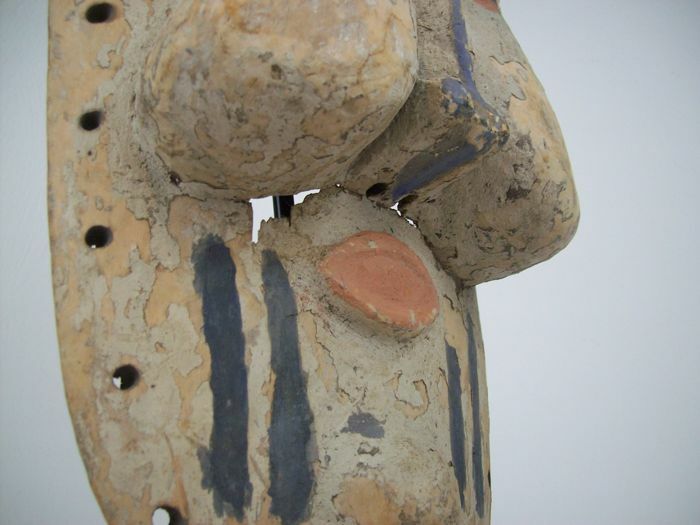 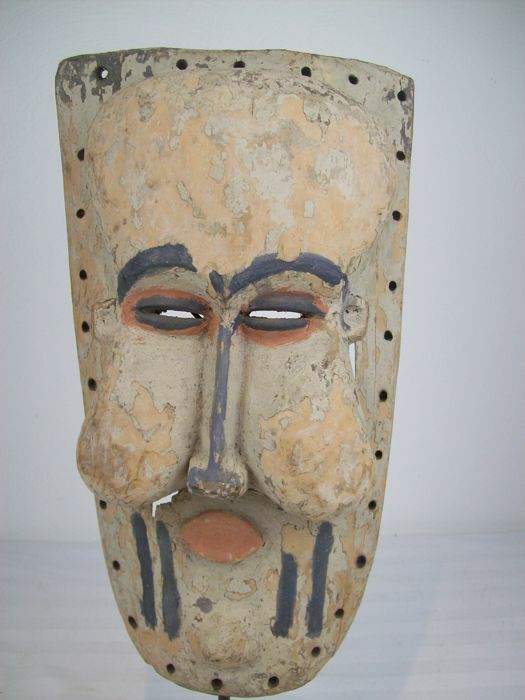 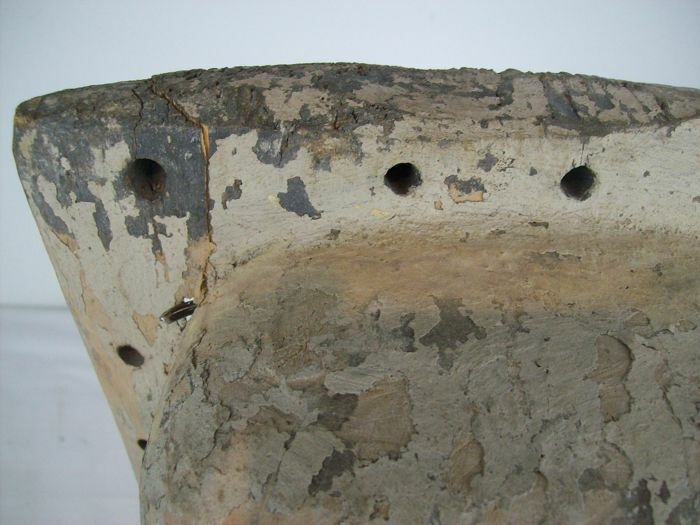 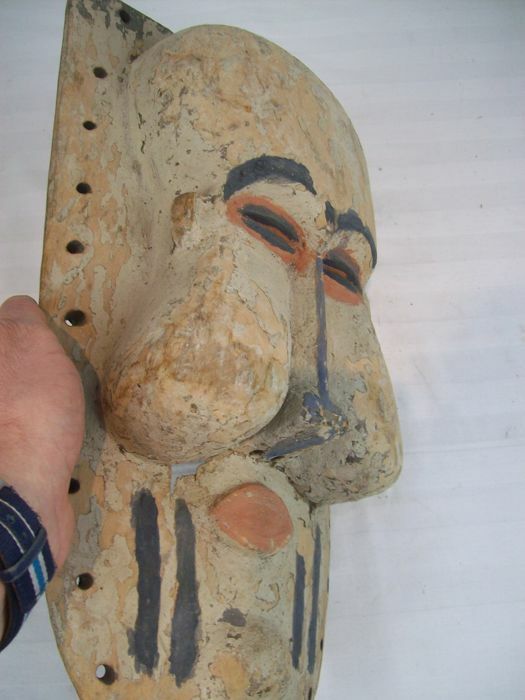 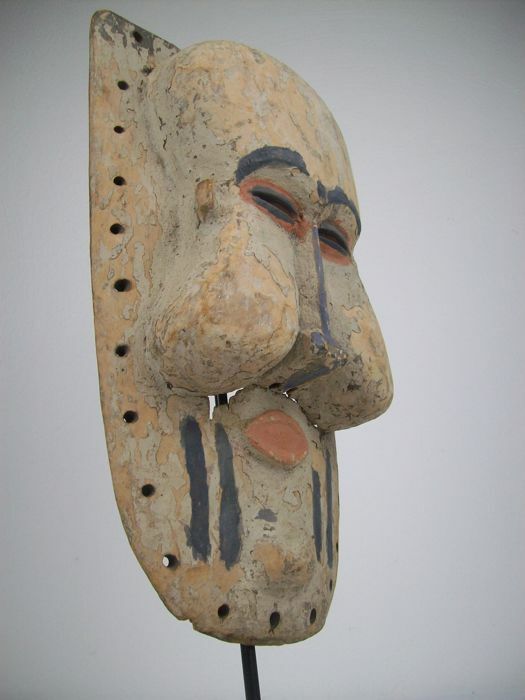 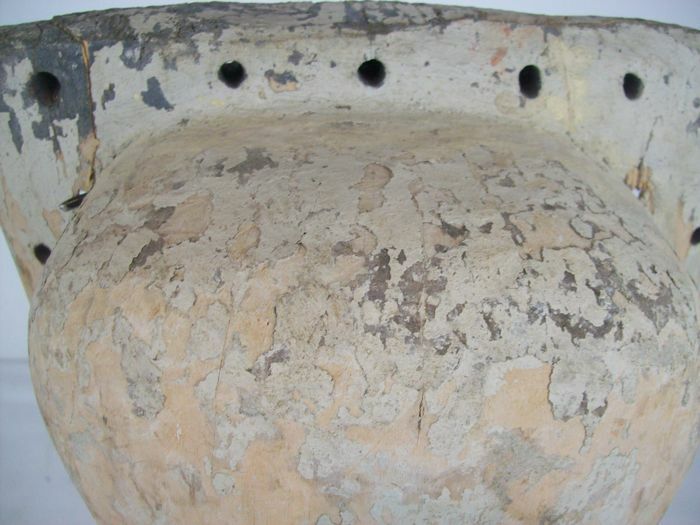 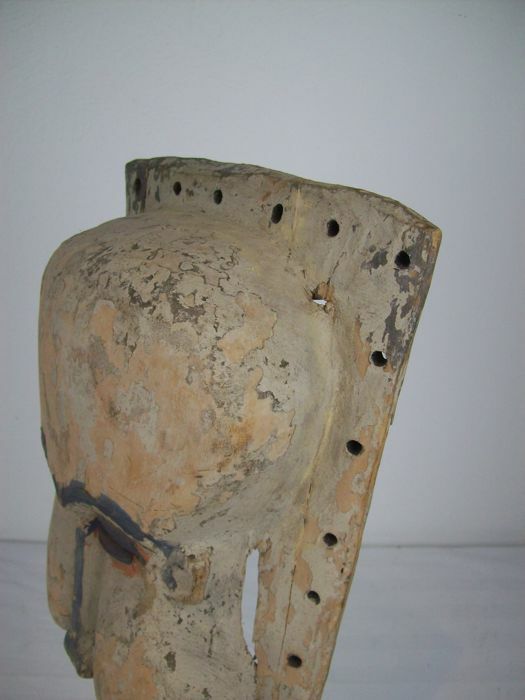 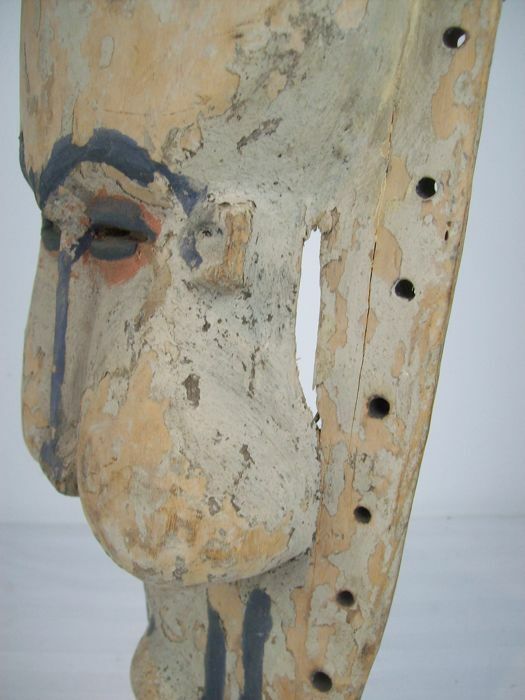 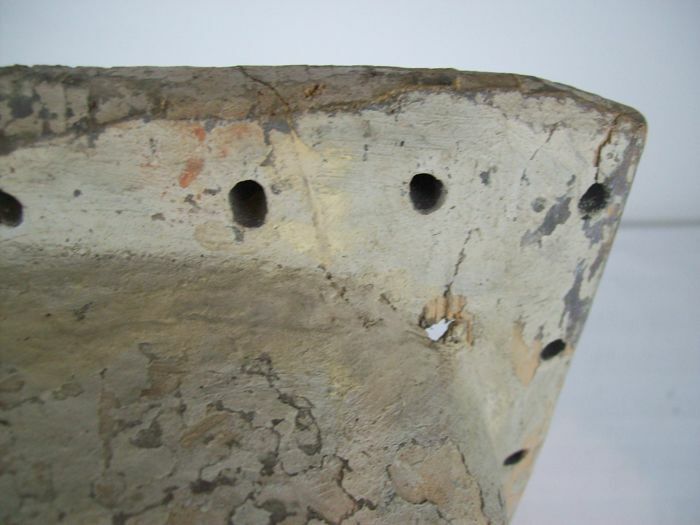 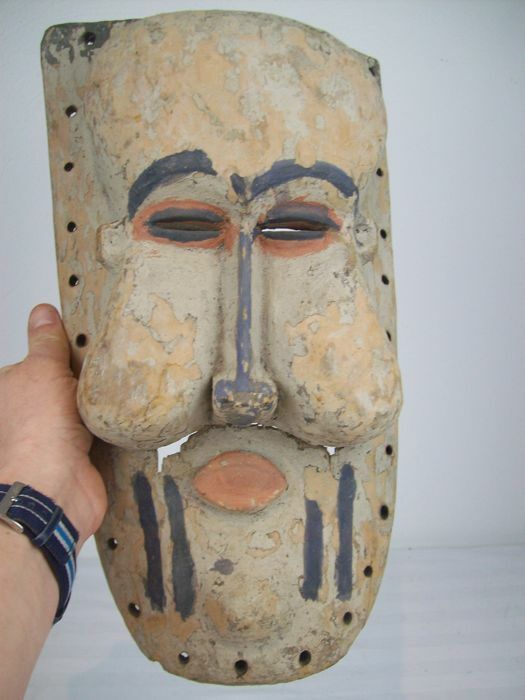 Weathered Yaka Kakungu mask painted in several colours. 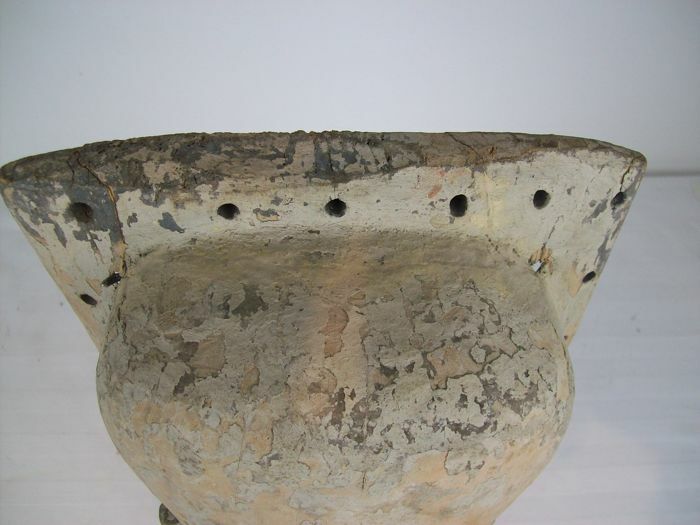 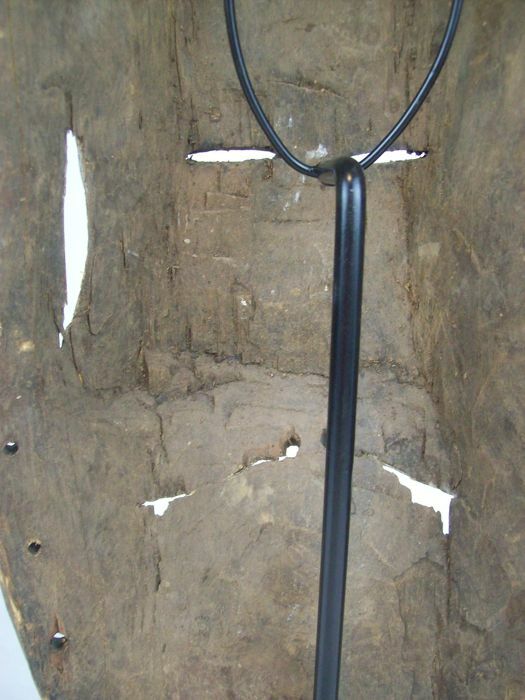 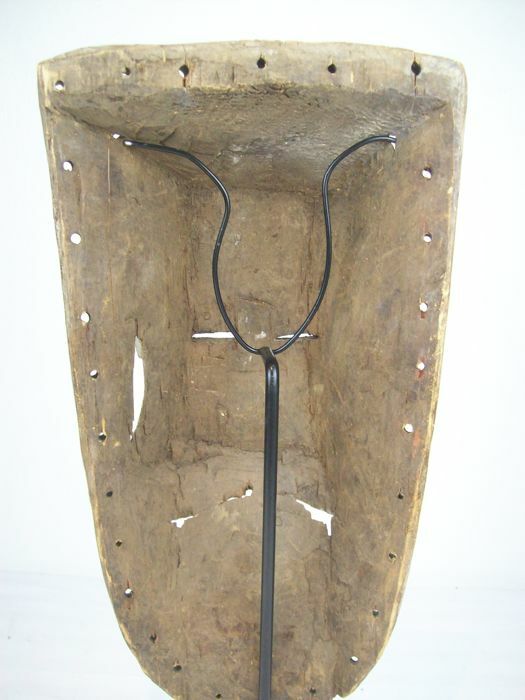 Dimensions: h: 42 cm, w: 24 cm, d: 12 cm (measured without the iron stand). 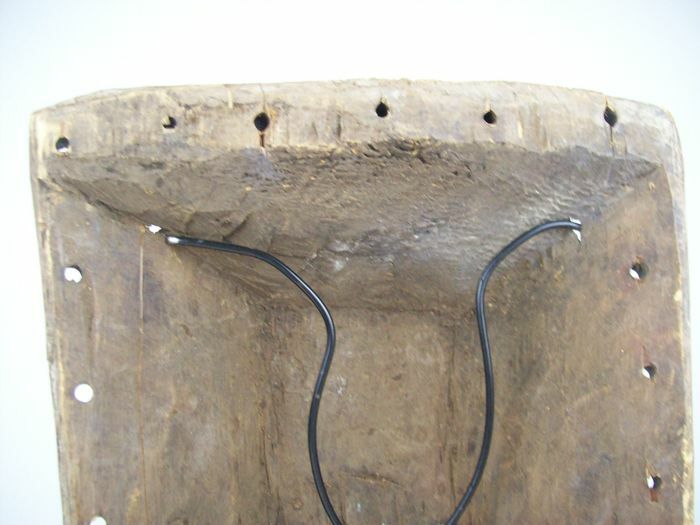 Suku. 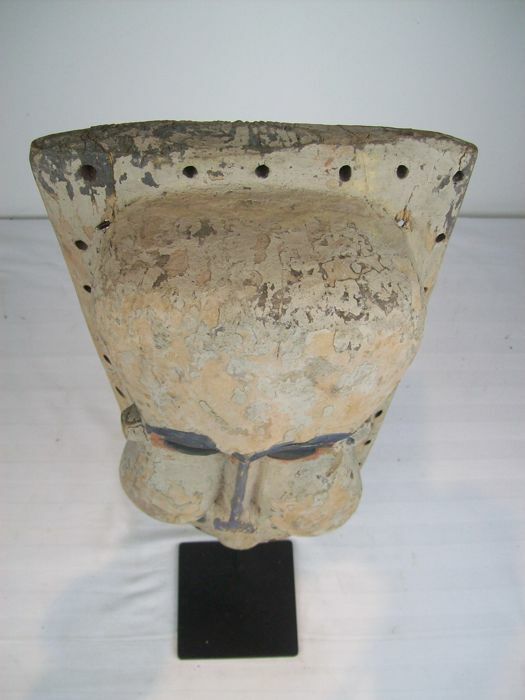 Kakungu ceremonial mask. 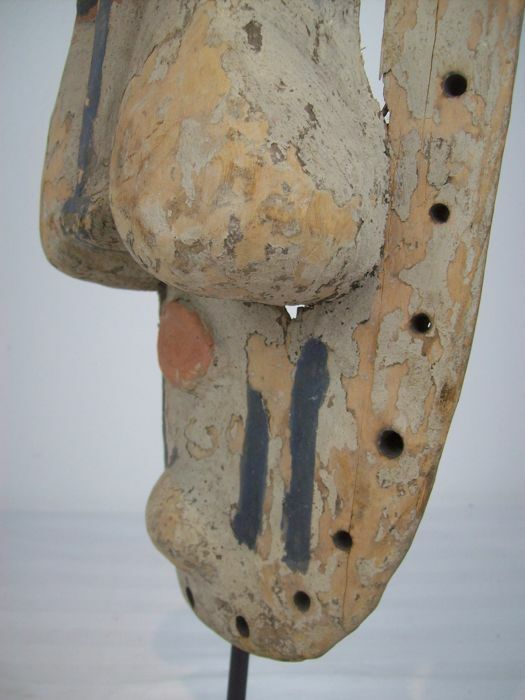 The 80,000 Suku live in the southwest of the Democratic Republic of Congo. 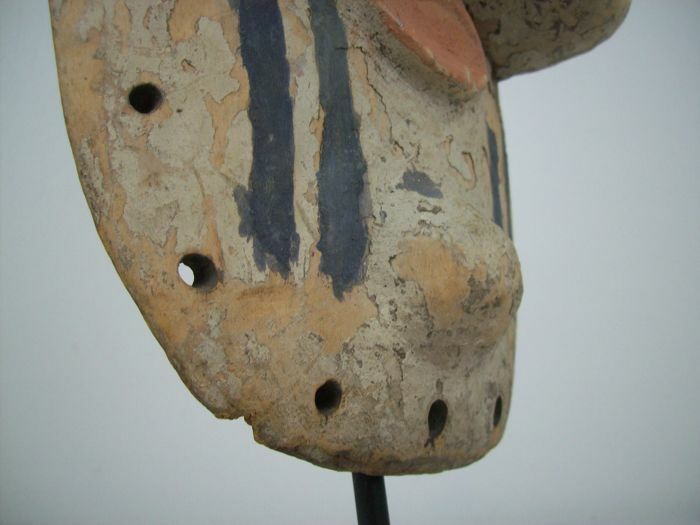 Their key economic resources are agriculture and hunting. 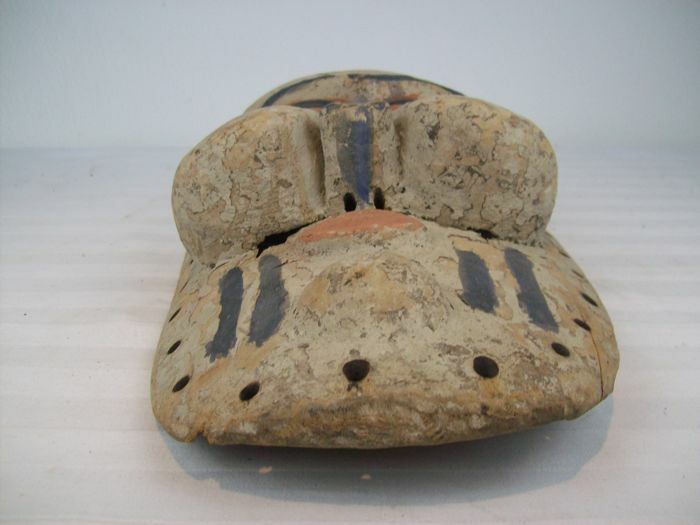 In the Suku society, it is the responsibility of the Nkanda Association to prepare boys for their coming-of-age. 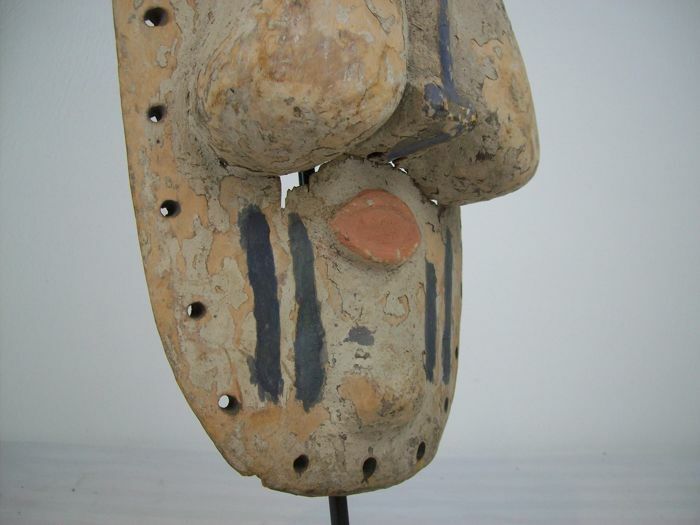 In the seclusion of the lodges, located outside the village, boys aged between ten and fifteen, are taught the history and traditions of their people, and undergo the compulsory circumcision. 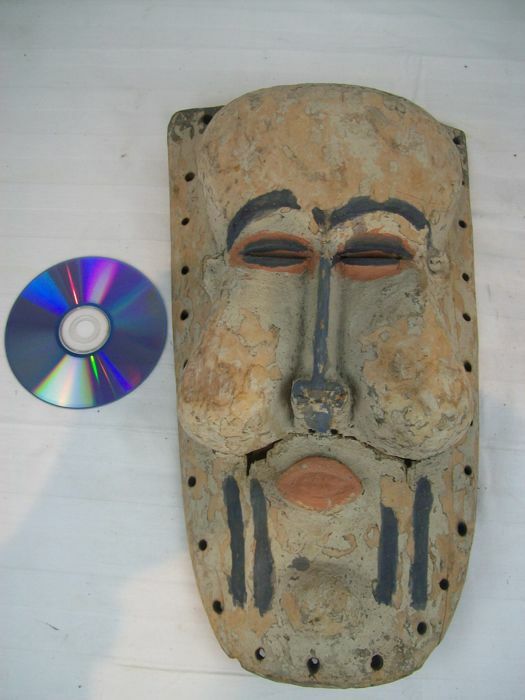 They also learn the songs and dances performed at their initiation ceremonies. 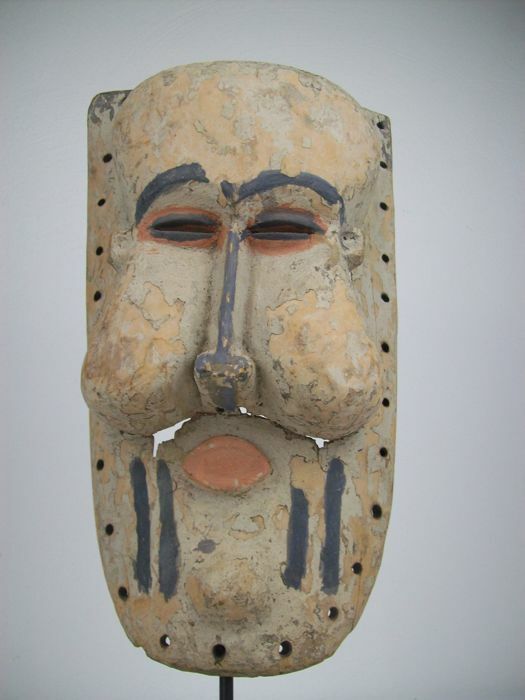 Several different masks are used in the Nkanda closing ceremonies. 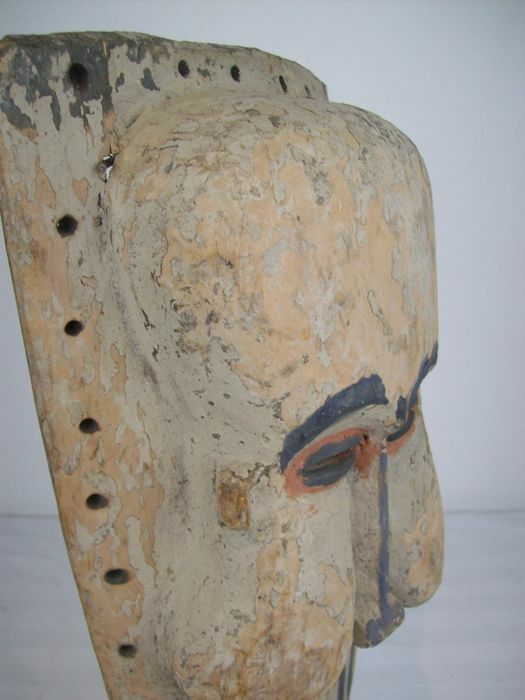 Kakungu is the largest of the initiation masks. 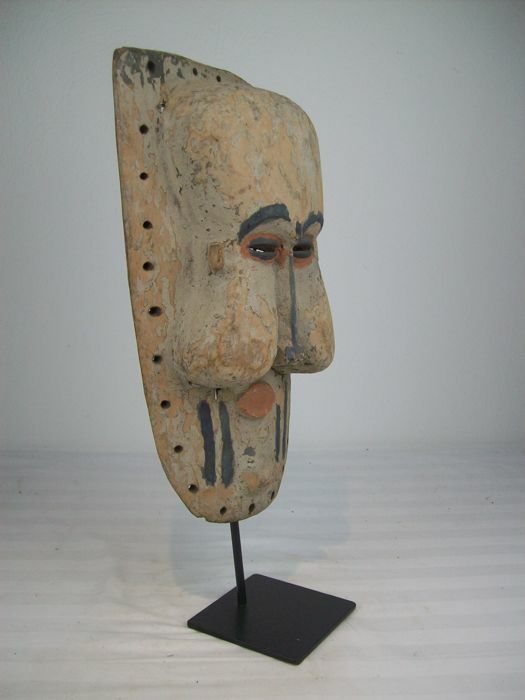 The mask makes an appearance on the day of circumcision, and again, when the young man leaves the lodge to return to the village. 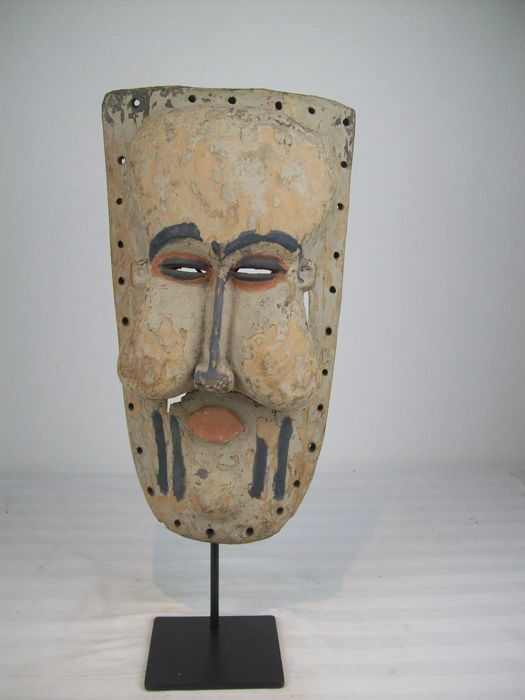 Kakungu masks teach the young men obedience and respect for their elders. 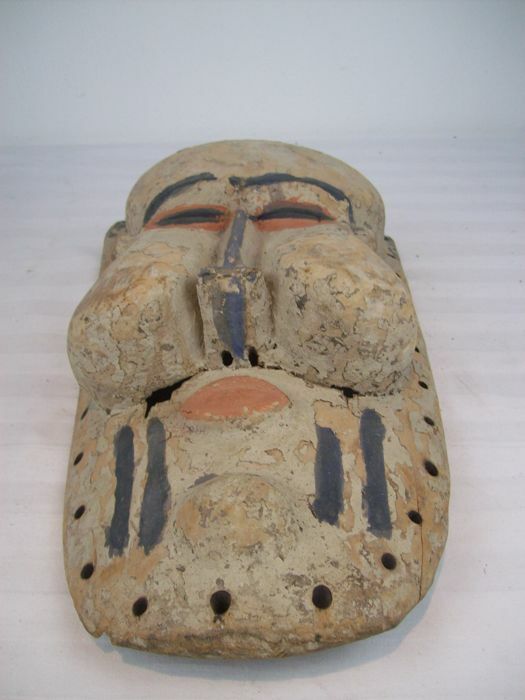 These masks are also protective, and threaten anyone suspected of evil intent towards the initiates. 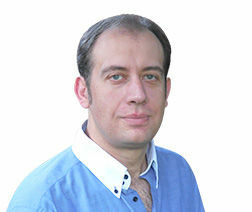 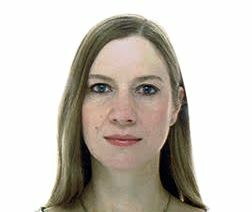 They are required for the treatment of impotence and sterility. 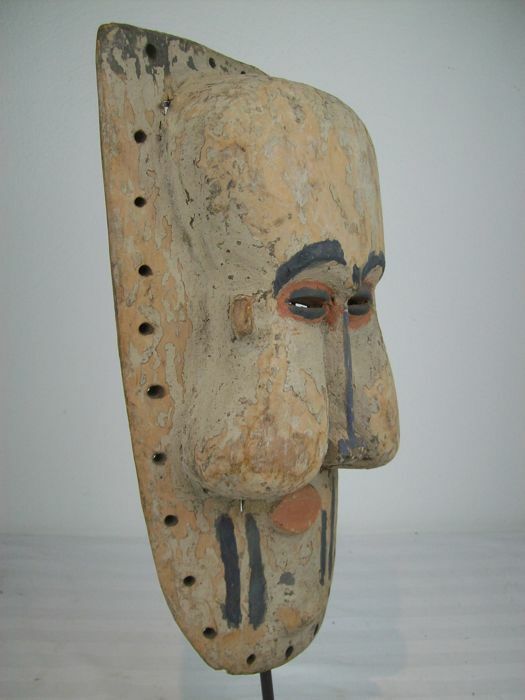 Kakungu masks have an assertive and striking design, with a large forehead and bulging cheeks. 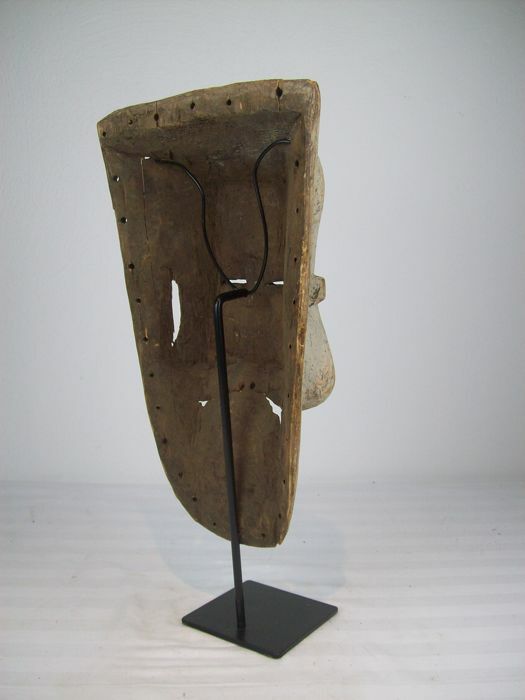 When not in use, they are displayed in shrines.